Bargain Wednesday – at the Odeon. We want you to see the latest movies at a great price! 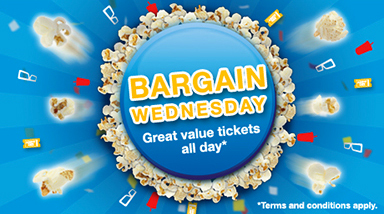 Join us any Wednesday and see a movie for €5 for 2D movies…that will leave you with some change to enjoy a bite to eat before the movie at one of our 13 food outlets. Check out all the great food options in Whitewater here. Eat In – Soup & Sandwich Combo €6.95 – Find us on the ground floor of the Centre besdie the Cusotmer Service Desk. 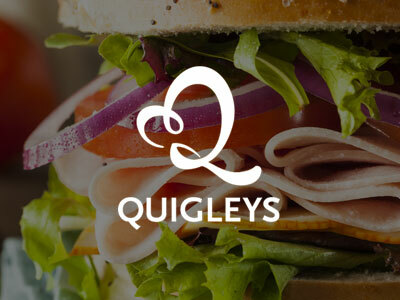 You can now purchase a Sub and a drink for only €4 – choose from 10 different subs and 4 different drinks. 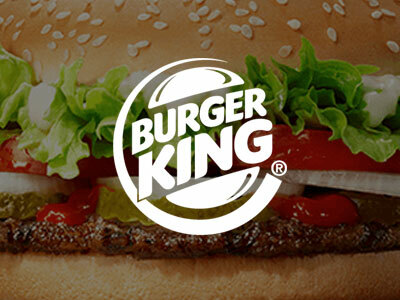 A different deal everyday for only €2.49 – Daily Deals at Burger King – www.whopper.ie for all your daily deals. We passionately believe the inspiring cinema experience should be open to all. When you come to see us at ODEON Newbridge, we?ll do all we can to make you feel welcome and comfortable ? If there?s anything you need, just ask one of your cinema hosts. Our cinema has full disabled access, so you can enjoy all our great facilities ? from scrumptious snacks to delicious drinks at our retail stands. As you move through the cinema you will find fully accessible male and female toilets down the corridors to the screen entrances. Our screens are all also fully accessible, with wheelchair spaces in each. As most are fitted with stadium-style seating, the wheelchair spaces tend to be near the front of the screen. All wheelchair spaces are accompanied by a companion seat. If you have further enquiries please call our Accessible Helpline between 9am – 7pm Friday, Saturday and Wednesday, 9am – 6pm Monday, Tuesday and Thursday and 10am – 5pm on a Sunday on 00800 4582 4582.